Sri Lanka Army, accommodating the concerns of the public and local politicians in the area further, the Security Force Headquarters – Jaffna (SFHQ-J) on Thursday (30) released one more land patch of 29 acres within the J/244 Vasavilan Grama Niladari sector, including the Roman Catholic Tamil Mixed School and Our Lady of Mary Carmel Church that borders the Army Cantonment in Palaly. 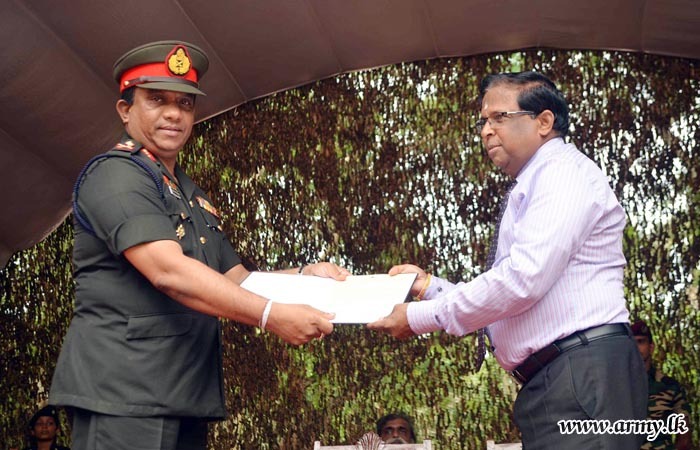 Major General Darshana Hettiarachchi, Commander, Security Forces - Jaffna officially handed over documents, related to the release of those lands to the District Secretary for Jaffna, Mr Nagalingam Vedanayaham during a brief ceremony at Ottampalam, Vasuvillan in Jaffna. Thursday’s (30) simple ceremony for release of this land patch of 29 acres, organized jointly by Ministry of National Integration and Reconciliation, Ministry of Prison Reforms, Rehabilitation, Resettlement and Hindu Religious Affairs, District Secretariat for Jaffna and the SFHQ-J was done as a result of a series of consultations with the Ministry of Defence, Tri-service Commanders, relevant Ministries and the District Secretariat for Jaffna before it was implemented by the SFHQ-J. Lieutenant General Mahesh Senanayake, Commander of the Army soon after his assumption of office assured that he would do everything possible to release as many private lands as possible to their legitimate owners. 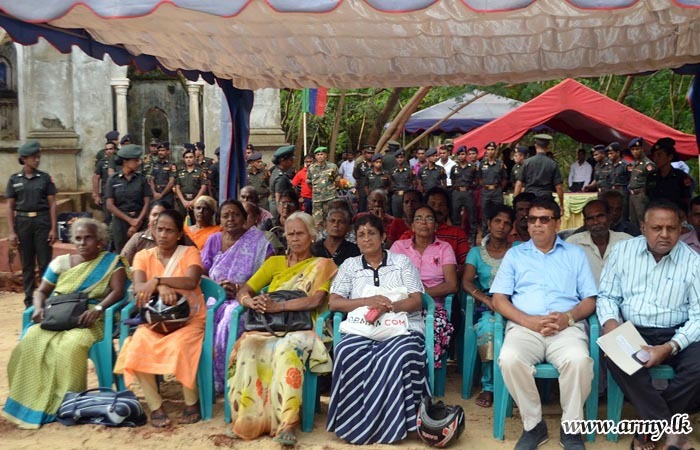 Politicians, District Secretary for Jaffna, Commander, SF-J, state officials and members of the public in the area attended the occasion.